Apple on Tuesday announced the lineup for the 2013 edition of the company's developer Tech Talks with a new dual-track structure. 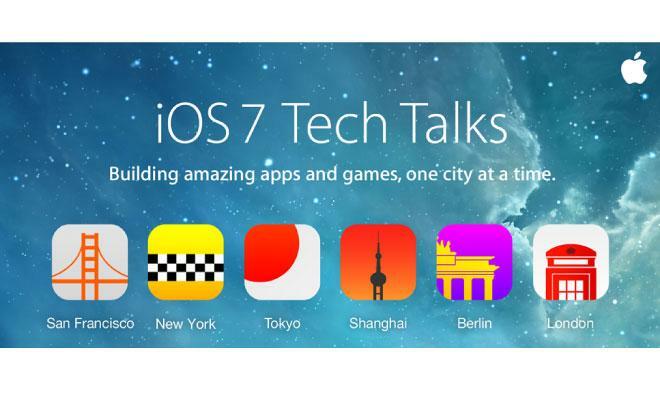 Apple's Tech Talks, which are small developer-focused conferences at which iOS developers can get up to speed on new technologies available in the latest iOS version and speak directly to Apple engineers, will be held in San Francisco, New York, Tokyo, Shanghai, Berlin, and London this year. The events are scheduled from October through December and feature a new dual track structure stretched across two days  one day for app developers, and the second day for game developers. Previously, Tech Talks were single day, general purpose affairs. Apple began the Tech Talk program in 2008 and, except for a brief hiatus in 2010, has made the conferences  described by some as "miniature WWDCs"  an annual tradition.